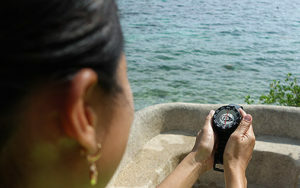 You’ll learn how to navigate underwater using a compass and natural navigation.You get the ability to navigate well and safe underwater and to orientate yourself. * at least your own medical history and, if you have any concerns, an additional medical examination! We will introduce you to the fascination of diving at night and the correct behavior with regard to environmental protection and the underwater creatures. Depending on the prevailing conditions, we dive to a greater depoth with the safety aspect always in mind. You will experience the physical and especially psychological aspects of deep diving. Subsequently, you will learn how to deal with these changes and reduce them to a tolerable level. In compliance with the safety regulations and a maximum diving depth of 20 meters, you will be shown diving-specific problems and the important, early detection of these. Subsequently, we will show you how to deal with these problems properly and overcome them. *at least your own medical history and, if you have any concerns, an additional medical examination! In this course, you will get to know your options and limitations in a targeted search action (salvage action). You will learn what it means to carry out a search operation and salvage action in a proper and safe way. The dangers of handling leashes and lifting equipment must be recognized and re-assessed over and over again. at least your own medical history and, if you have any concerns, an additional medical examination! 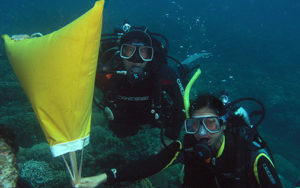 In this course you will learn all the necessary rules to conduct a drift dive and the assessment of your personal limits. 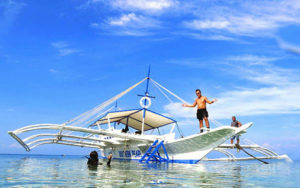 The proper behavior and essential considerations of boat diving will be taught in this course. In addition, the preparation and planning of boat trips, taking care during travel and exiting a dive boat will be brought to you.